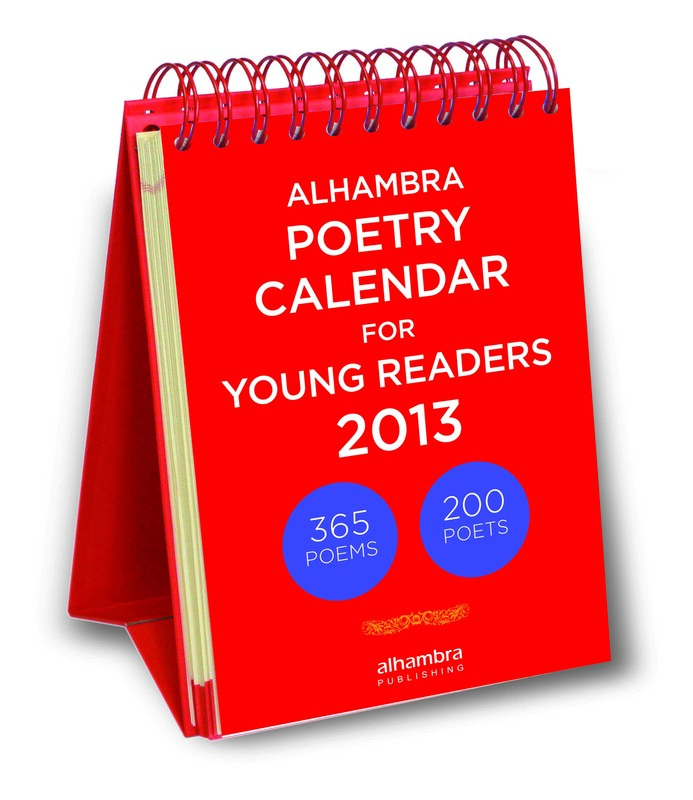 Alhambra Poetry Calendar for Young Readers 2013. 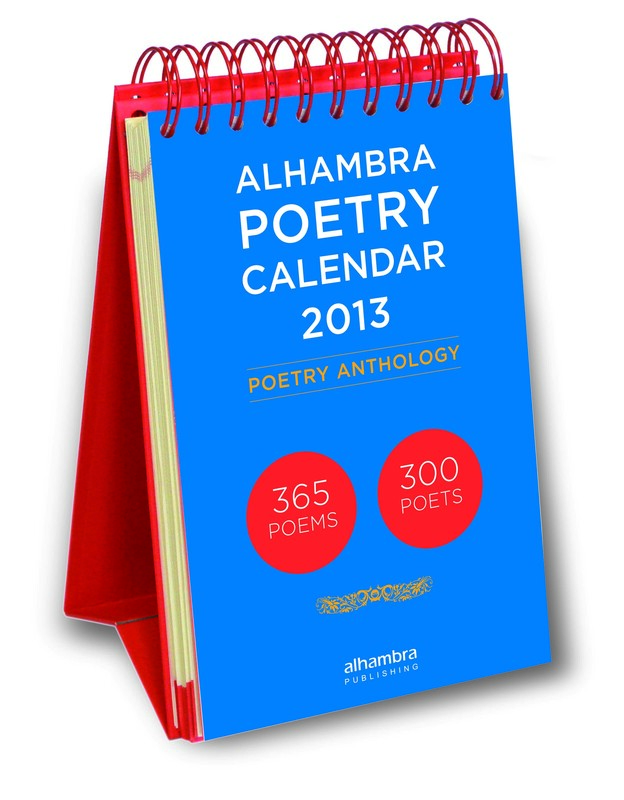 Alhambra Poetry Calendar for Young Readers 2013: 365 poems by more than 200 poets. A surprise-desk calendar and a poetry anthology in one. Start the day with a poem: well-known as well as less familiar poems by classic poets, and new and recent poems by both well-established and emerging contemporary poets. Agreat introduction to the variety and richness of English poetry over the last 500 years. Serious and humorous poems on a variety of subjects: friendship, family, animals, magic, sports, love, music, school, history, nature, happiness, sorrow, modern life, and the ways our lives have changed. Alhambra Poetry Calendar for Young Readers 2013 is an entertaining, child-friendly poetry almanac which, thanks to its spiral binding, can be kept as a book for future enjoyment.